India has a plethora of bikers. Biking communities are plentiful and the idea of exploring the unknown in a country as diverse as India is something that they live for. From the many tales of these communities, comes a story of inspiration and awe. The story of ‘The Bikerni’, India’s first all women’s motorcycle group. Yes, if you ever thought a 1000 cc beast would only be a male bastion, think again. “I don’t think it is any different for a man than it is for a woman. It gives the same sense of freedom, the same rush, irrespective of whether you’re a man or a woman” says Shabnam Akram who is a graphic designer by profession and a proud ‘bikerni’ by heart. The Bikerni, founded in 2011, is an all women’s group of bikers that travel across theThe Bikerni country breaking stereotypes, often giving the roadside onlooker a stare or two. The movement kick-started (literally) by Urvashi Patole is now an association of 600 plus bikers and growing. Their aim was to create a platform for women who ride motorcycles and also for those who aspire to do so. In 2013, the group thought of doing something extreme. 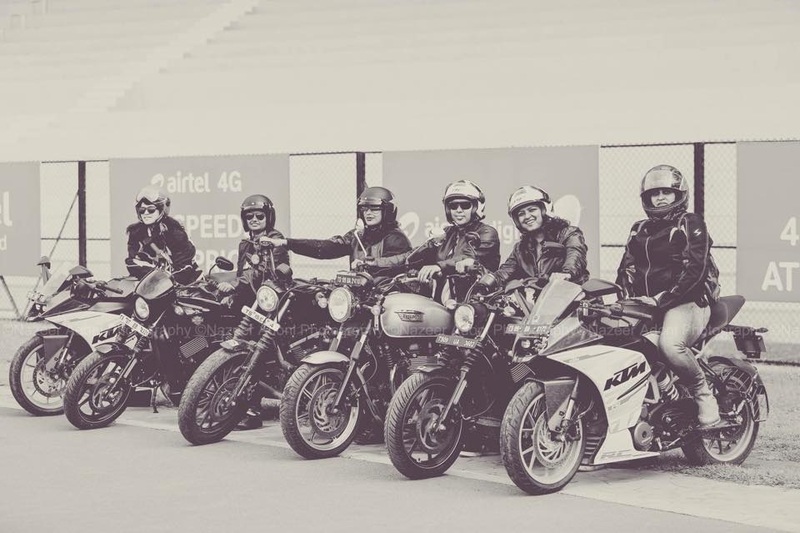 They organised the largest all-women motorcycle expedition from Delhi to Khardung-La in Ladakh. This won them a mention in the Limca Book of Records in 2013. Apart from Ladakh, they have travelled thousands of kilometres to places like Rajashtan, the Malshej ghat in Maharashtra and the whole of the Konkan coastal belt. They meet every month and even organise motorcycling events like Rider Mania and India Bike week. They also volunteer for various causes related to women and children with the motto of ‘Travel for a cause’.